From a master of family dynamics comes this vivid tale of two misfits who find each other while stumbling toward their own true identities. In 1958, eight-year-old Danny Lim has been sent to buy cigarettes for his father, when he realizes that he has lost the money. Frantic, he rushes through Vancouver's Chinatown and behind a nightclub, where he sees Miss Val, a long-time burlesque dancer. Danny is enraptured with her sequined garters and silk robe, and Val, touched by his fascination, gives him a pack of cigarettes and her silk belt. Years later, Danny spends his days working as a wedding photographer and his nights cruising Stanley Park, far away from the home where his parents and sister live. He realizes that the key to understanding himself and his family lies in his connection to Miss Val, and he is determined to find her. Before she became the Siamese Kitten, a major player on the North American circuit, Miss Val was Valerie Nealy, a feisty girl growing up in a rundown house beside the Fraser River. But to find the stardom she thought she wanted, she had to make a series of seemingly irrevocable decisions. Set mostly during an unseasonably hot summer in Vancouver in 1982 when HIV/AIDS was spreading rapidly, The Better Mother brims with undeniable tragedy, but resounds with the power of friendship, change and truth. 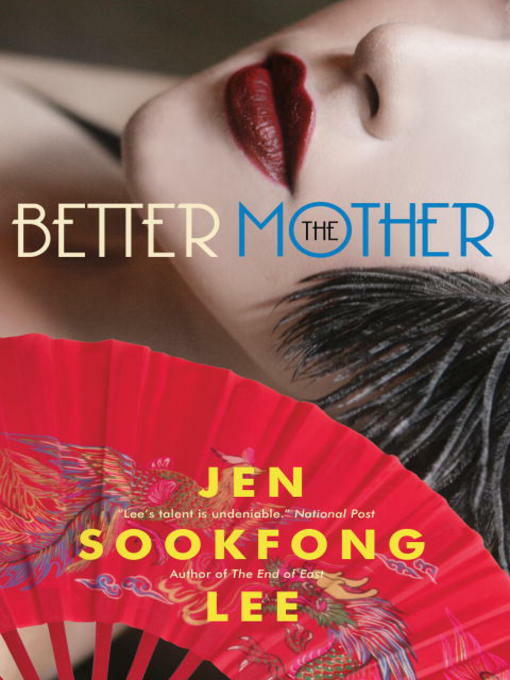 It will cement Jen Sookfong Lee's reputation as one of this country's finest young novelists.